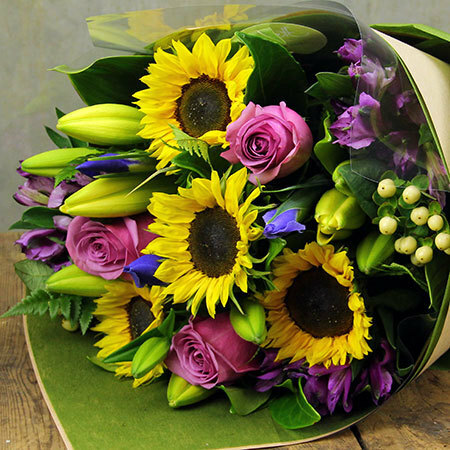 Get FREE DELIVERY this Monday 9th and Tuesday 10th October on our bright, fun Colour Pop flower bouquet, featuring roses, sunflowers, iris and lilies mixed with fresh greenery. Want to send these flowers on another day? Click here to order (please note free delivery will not apply).